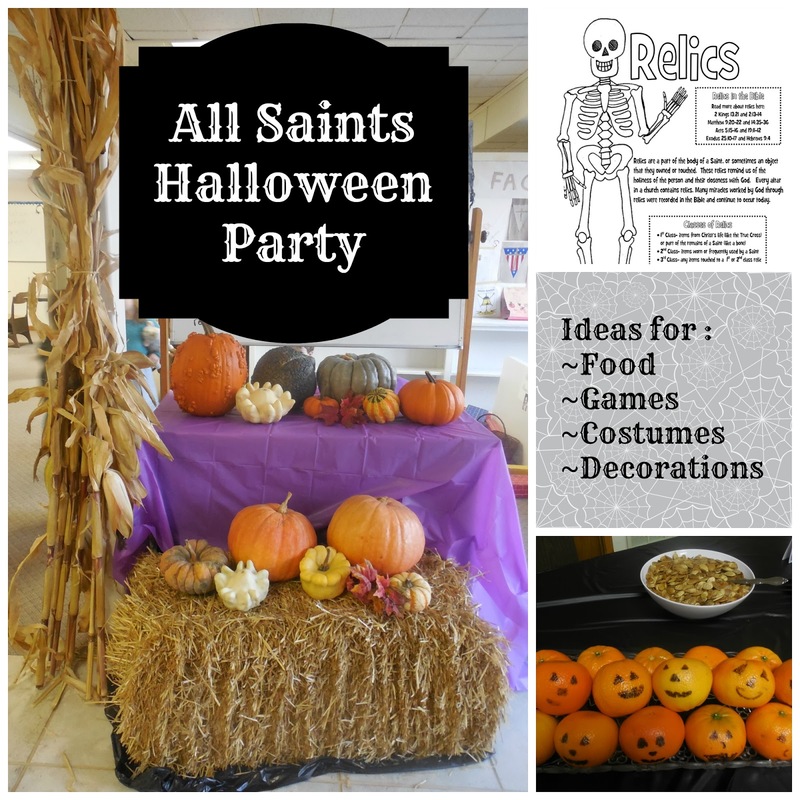 I was in charge of organizing and hosting my parish's All Saints' Day / Halloween / All Hallow's Eve party and let me tell you something: it was so much fun! This post is filled with all kinds of ideas that helped me and my fellow volunteers throw a great party. Be sure to watch my Knot Bad Video for some ideas that aren't discussed below. And if you've any great ideas for celebrating All Hallow's Eve I'd love to read them in the comment box! 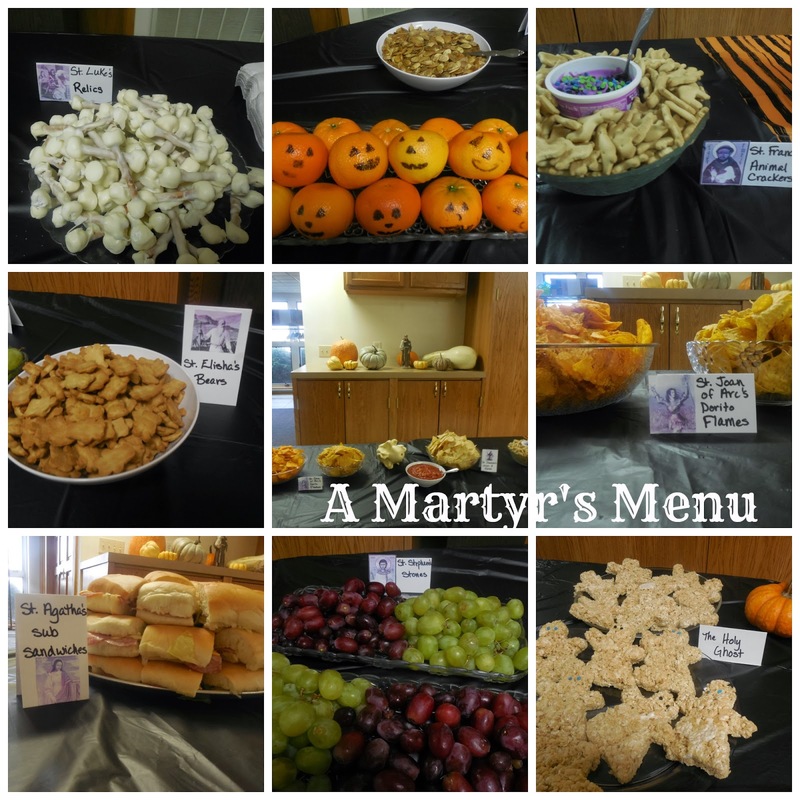 At my parish's party we'll be doing the more kid friendly versions of the food below but the gorier options may be more interesting for teens and adults. Many thanks to my friend, Katie, who helped me brainstorm these ideas. St. Stephen’s stones - could use Nerds, donut holes, grapes, cake balls, rock candy, or even brown MnM's. I'll also be serving popcorn in a cauldron from some real "kettle corn", clementines with jack o' lantern faces, and lemonade. Now I must confess that I didn't think of any of these games. All of them were created by two wonderful women from my parish. We like to have the games set up in stations throughout our parish hall, manned by the confirmation students. Hang a picture of Mary on a wall, blindfold the kids, spin them around, and give them a picture of a crown with tape on the back. Line up cones with pictures of angels taped to the front and give kids rings to toss. Rings can be pool toys, glow sticks, or embroidery hoops wrapped in a shimmery, golden ribbon. Place objects like a crucifix, statue of a saint, rosary, etc in empty kleenex boxes. Blindfold the kids and have them guess the objects based on what they feel. Fasten together small bunches of fake roses to toss into a series of buckets. Gather old beanie babies or other stuffed animals and hide them throughout the room or house. Have the kids find them and bring them to a statue or other image of St. Francis. Make up small baggies of Goldfish crackers and/or Swedish Fish. Punch a hole in one corner of each bag and hoop a pipe cleaner through it, making a large circle. Make a simple cane pole with a stick, string, and a large paper clip attached at the end and bent to form a hook. Kids can hook the baggies that are in a kiddie pool or laying on a blue blanket. Blindfold the kids and have them search through containers for uncooked rice, beans, noodles, etc for objects like rings, keys, or coins. Pumpkins, corn stalk bunches, straw bales, mums, and gourds. Traditional fall decorations definitely help set the scene and give a festive feel. If you're having your party on All Saints' Day you may be able to get free pumpkins and such from a local pumpkin patch and list them as a sponsor in your bulletin and posters. You can also get discounted pumpkins and other decorations if you buy the day of Halloween or the day after but you run the risk of not having a good variety. Food and Candy. Dishes of candy corn or other Halloween themed candy can be the centerpieces at the tables. And your buffet can and should be a centerpiece of the room. Serve the food in clear, white, or Halloween-ish colored dishes on a black tablecloth and they'll seem festive, too. 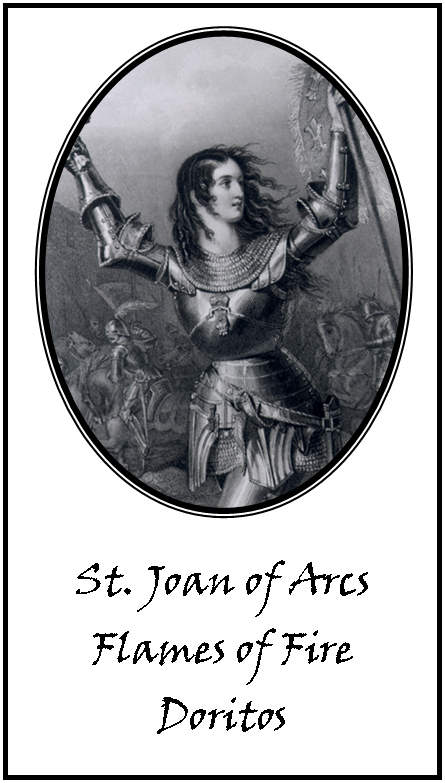 Also, be sure to label the food, possibly using a holy card of the saint with the label. I love using plastic tablecloths and white lights to create a theme and ambiance. Purple, green, orange, and black tablecloths can cover tables and hang on walls to cover unsightly sights, bring attention to a special area, or just add color. The plastic tablecloths can be found in the party section of Wal-Mart and cost less than $1. You can cut them to fit a variety of spaces and because they're light they're easy to hang on walls or from the ceiling.. I'll be halving them for our round tables and then cutting strips for table runners so an orange covered table will have a stripe of purple, black, or green to add more color. I'll also be hanging some black ones around a stage area to create a backdrop in the "cemetery" where the kids will explain which saint they are dressed as. I'll use the white lights in this area, perhaps as a night sky or just snaked around the tombstones (mentioned in the above video) and pumpkins I'll be using in this area. This day is really all about them so show them off! Icons, statues, holy cards, and other pictures can be placed throughout the room. Nestle them by pumpkins, place them on the centers of the tables, include their pictures on the signs labeling the food and games, and hang them on the doors and walls. -Allow people to gather and invite them to sit. 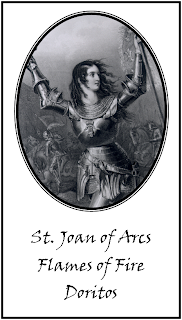 -Invite the "saints" to take the stage and explain who they are dressed up as. We'll end this portion by praying the Litany of the Saints, including the names of the saints who are represented by the children. -Families can then leave as needed / once their kids have played all the games. Love this Bonnie! I just forwarded it to our homeschool group for people looking for game ideas for our All Saints Carnival. The food ideas are great too, we make St. Lucy's eyeball rolls for her feast day, but I never thought to do them for All Saints too! Love all the creative things you can do for the feast!! I don't mind at all! Thank you for sharing! I just totally feel like I hit a GOLD MINE!!!!!!! Super love! I never thought about how jack o' lanterns could be used to illustrate those truths to children. Great idea. Make more videos! Growing up, our parish used to have a haunted house that was put on by the youth group that they called the "Martyrs Mansion". 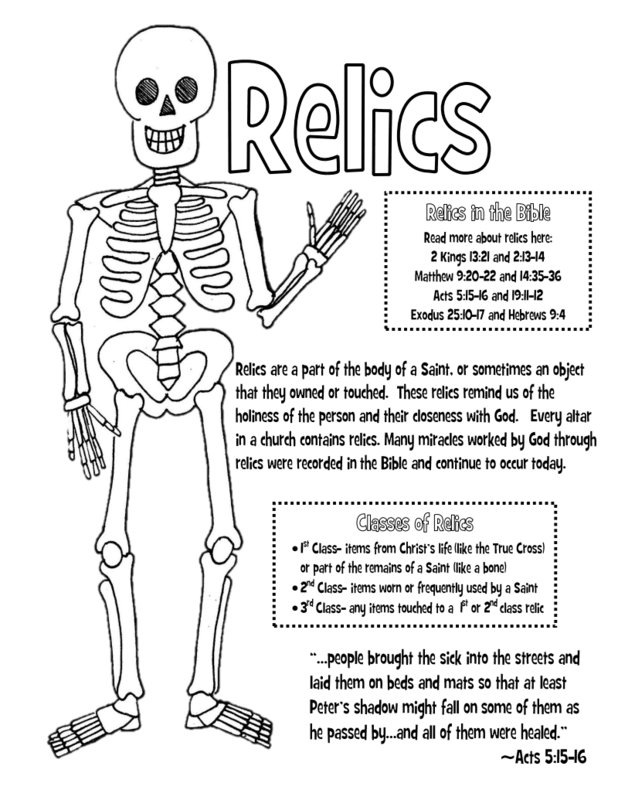 Instead of creepy ghouls and ghosts the teens depicted how different saints were martyred. All the martyrs would act out how they died, or if they were already dead (some had their heads on platters, like St. John the Baptist), the tour guide would explain how they died. 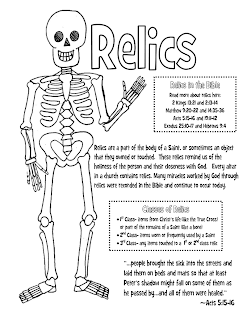 It could definitely get scary for the littlest kids (it was still bloody and sometimes creepy), but I have excellent memories of doing this every year, and wish that my parish still did it!